If you are aspiring towards a career as a recycling professional, one important consideration is that of achieving a professional certification within the field. The good news is that there are several programs available. Certification Training Programs Currently Available in the U.S. In order to complete the full (21-day) Full Recycling Certification program, an individual must attend the nine required courses in addition to successfully completing all course proficiency assignments. After completion of certification, CRPs must complete 12 hours per year of continuing professional education/training on issues relating to solid waste and recycling to maintain their certification. For experienced county or government professionals, New Jersey also offers a shorter program. Offered through the South Carolina Department of Health and Environmental Control, the S.C. Recycling Professionals Certification Program is a "comprehensive professional development program targeting local government recycling coordinators and solid waste directors. " The program aims to offer professionals with the range of information needed to grow and improve in their roles of providing cost competitive and sustainable operations. A list of recycling topics covered is listed in this Forward. Santa Monica College offers its Recycling and Resource Management (RRM) Program at Santa Monica College, providing formal individual training. It is offered through a twelve unit Certificate in Recycling and Zero Waste. 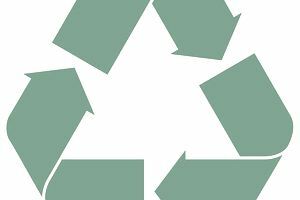 The Solid Waste Association of North America (SWANA) and the California Resource Recovery Association (CRRA) offer a Zero Waste Principles and Practices course and certification program throughout the United States and Canada. The course will deliver comprehensive knowledge of the fundamental principles supporting Zero Waste programs for both the private and public sectors. This course is designed for on-line self-paced learning, offered in cooperation with the Association of Oregon Recyclers. It is an eight-part introductory course. The first session is free. As has been briefly outlined above, there are several certificate programs available for incoming as well as veteran workers in the recycling industry. In the future, look for increased harmonization. In the short term, take care to ensure that the program you choose meets the needs of certification in your jurisdiction. Another good idea is to look at job postings online in your area and see what qualifications employers seek. This will help ensure that you are on the right track.